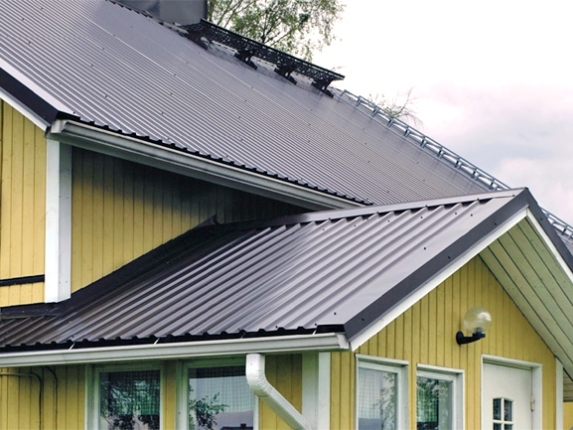 a roofing material that, unlike metal, during installation, virtually no waste. Corrugated use for outdoor enclosures (fences), walls, roofs of shops, warehouses, retail pavilions, sheds, cottages, gardens and country houses. 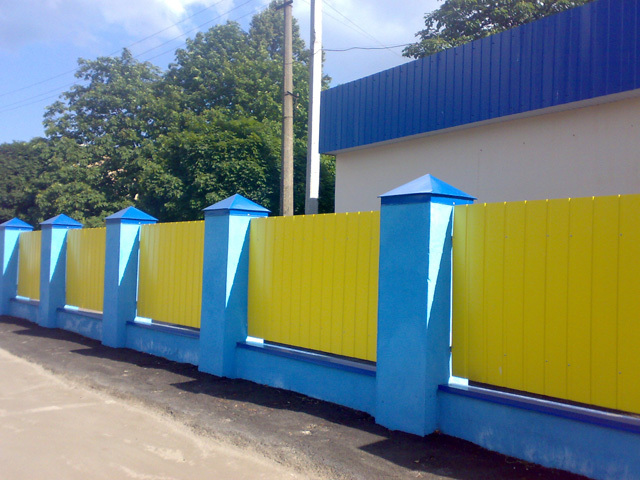 When erecting the roof and walls of corrugated sheet can be used as coatings for the renovation of older buildings and for construction of new facilities. Steel framework and ribs provide a roof, walls, and bearing overlaps the necessary rigidity. 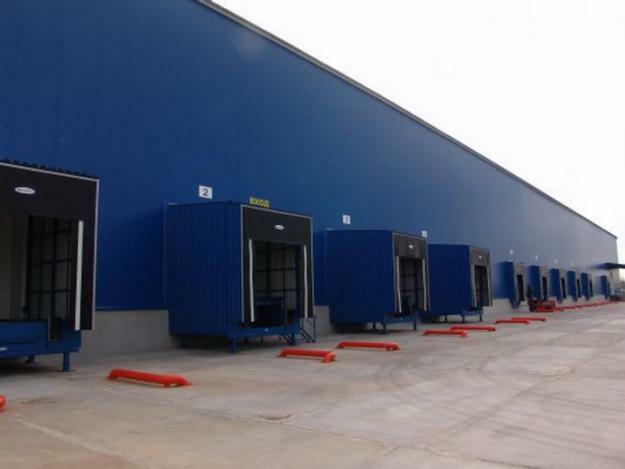 The walls and roof of corrugated board to avoid burdening the building and have great integrity. Also profiled sheets are made of high quality galvanized steel with polymer coating. Hot dip galvanizing provides cathodic protection of metal resistant to corrosion. 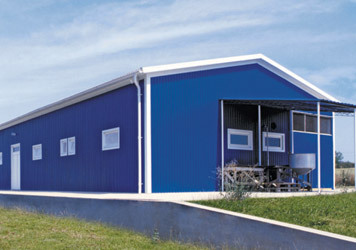 Material advantage is that the corrugated sheet is used in all climatic zones. Corrosion resistance and high load bearing capacity can be used successfully profiled in regions with high humidity overlaps the necessary rigidity. The walls and roof of corrugated board to avoid burdening the building and have great integrity. This roofing material is very reliable, it is tightly covered by a roof and is moisture, not "afraid" of corrosion. In addition, the decking is easy enough, so do not worry about the hardening of crates. 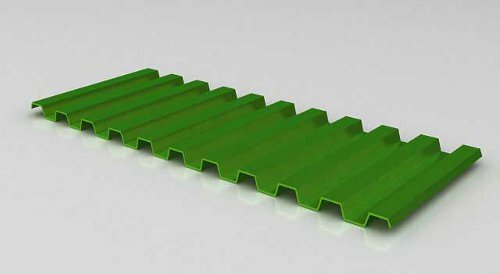 Sheets of roofing material can have different parameters, so such a device sheeting provides an opportunity to its installation, not only in large areas, but also on relatively small. By itself, sheet corrugated sheet like slate, but at the same time, the waves may have sharp transitions, and they are called corrugation. Corrugated sheeting may have different heights, they may be low and high. 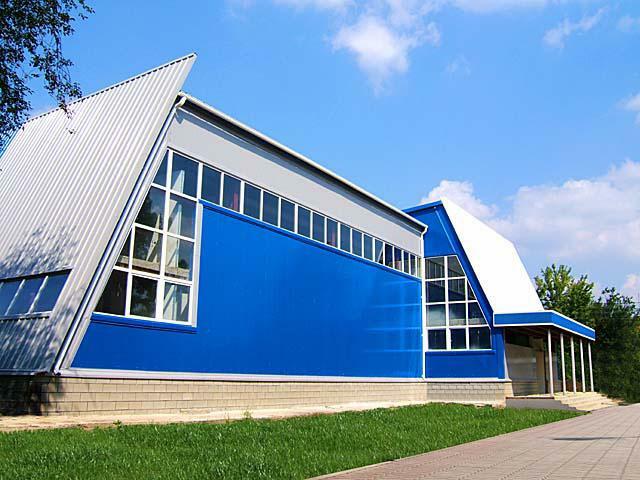 Ideal choice for roofing is profiled, the height of corrugation is equal to two centimeters.